Mate 808 is the newest and most advanced mini action camera on the market. This device is perfect for us as an action cam, to mount on a bike, skateboard or any type of helmet. This camera can also be used as a car dash camera by purchasing the optional car mounts and cigarette lighter adaptors. 2. A connector added for the internal battery, making it changeable by users who don't like soldering. You don't have to throw your camera away when the battery dies. You just need a new battery and change it! 5. Optional indicator flicker function can be set by TXT, perfectly secretive as a camera! SUPER THIN - LIGHTWEIGHT & DISCREET! This key fob camera is a really high resolution tiny gadget. 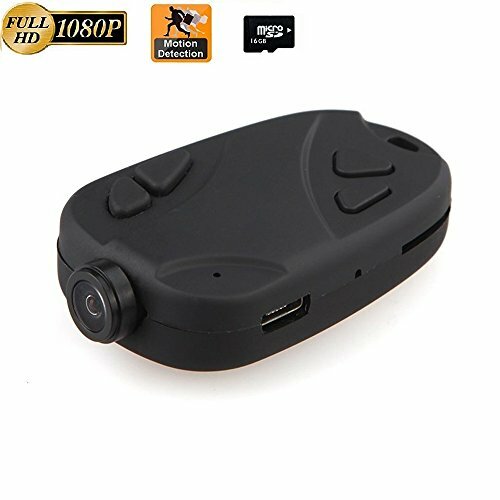 One of the smallest cameras for cars with this HD resolution in the online stores! super simple easy instructions Operation Manual! ✔PROFESSIONAL DRONE CAMERA - PLUG & PLAY into any PC/Mac. Simply record your footage, plug the action Cam into your computer with the included USB cable, and review your footage. That's all it takes! User friendly and a complete no brainer to use. ✔ NEW & IMPORVED FROM 720P CAMERA TO 1080P-TRUE HD Recorder in 1920*1080P HD video resolution & 2 mega pixels, Meticulously engineered to perfection for crystal clear video recording. One click on or off allows you to start/stop recording video right away. ✔NO SOFTWARE TO LOAD - There is no need to install a driver into the PC. Convenient, compact and fun, it does not get much better than the Amazing Plug Camera. ✔BATTERY- High capacity polymer li-thion Battery 250mA, it can recording 60 mins,and it's changeable. If you have any questions about this product by MATECam, contact us by completing and submitting the form below. If you are looking for a specif part number, please include it with your message.